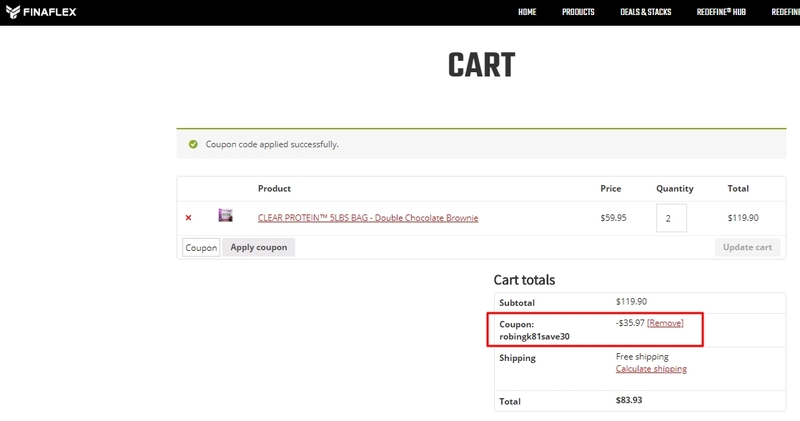 Carlos Rodriguez I have tested this code and is working as described, place the code at the checkout and enjoy the discount. @ceci341 I am re-activating this expired deal. 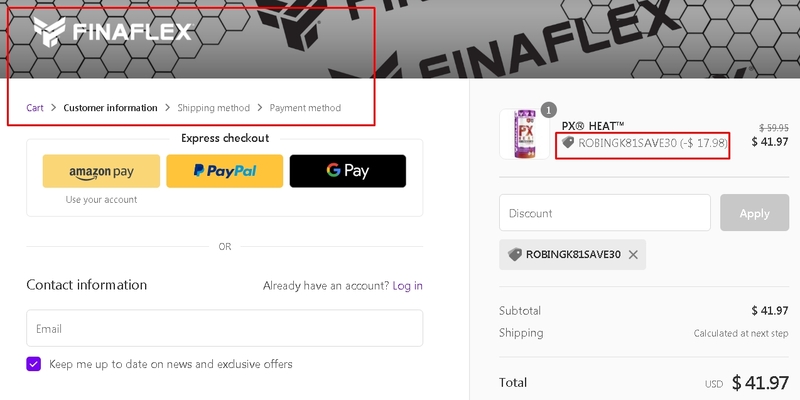 Just enter this code ROBINGK81SAVE30 during the checkout process to apply this discount 30% Off Your Order at FINAFLEX (Site-Wide). There may be some exclusions that apply to this deal. Teodomiro This deal works as described. 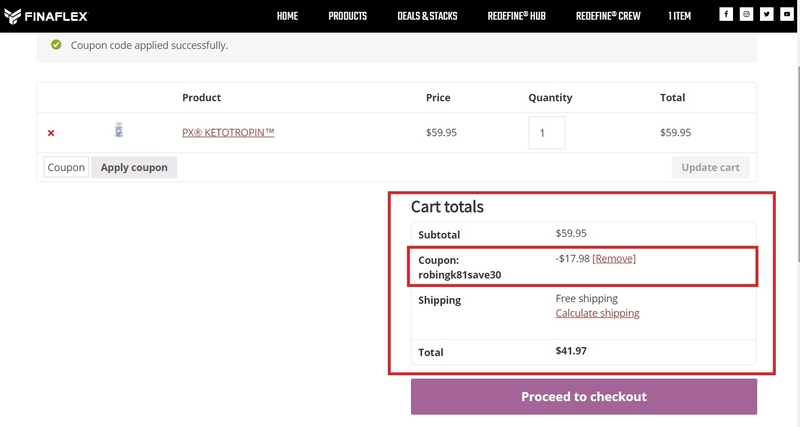 Go to the web site, add your item to cart, proceed to checkout, enter promo code <ROBINGK81SAVE30> and get 30% off your order at FINAFLEX. German This deal was verified and it is working as described. 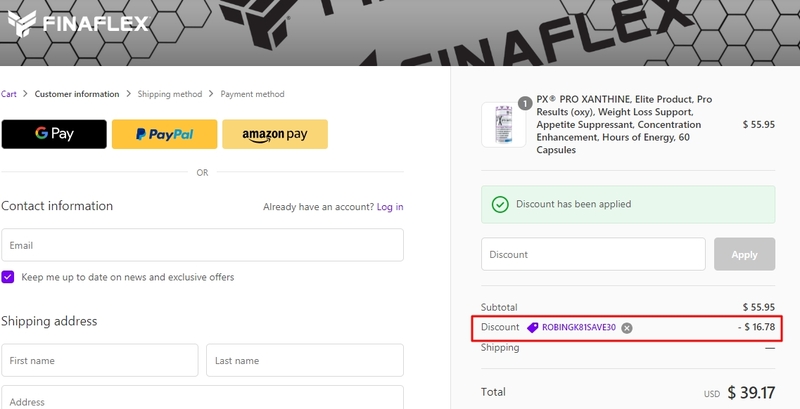 Select the items and enter the promo code <ROBINGK81SAVE30> at checkout to get 30% off your order at FINAFLEX. Jose This deal was verified and it is working as described. 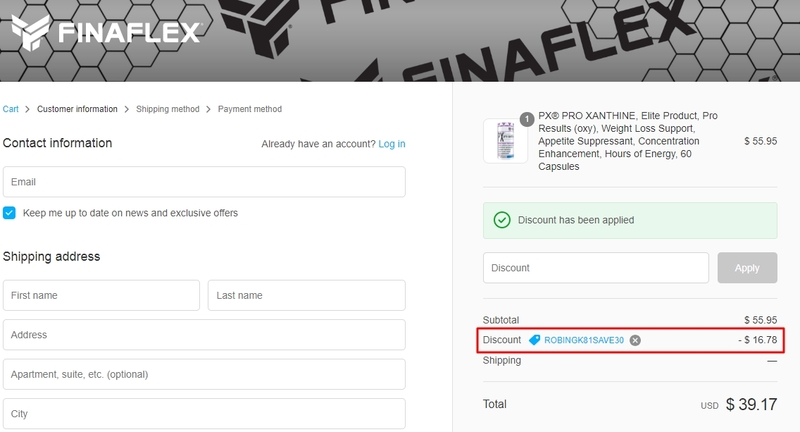 Select the items and enter the promo code <ROBINGK81SAVE30> at checkout to get 30% off your order at FINAFLEX. Frank Vegas This deal was verified and it is working as described. 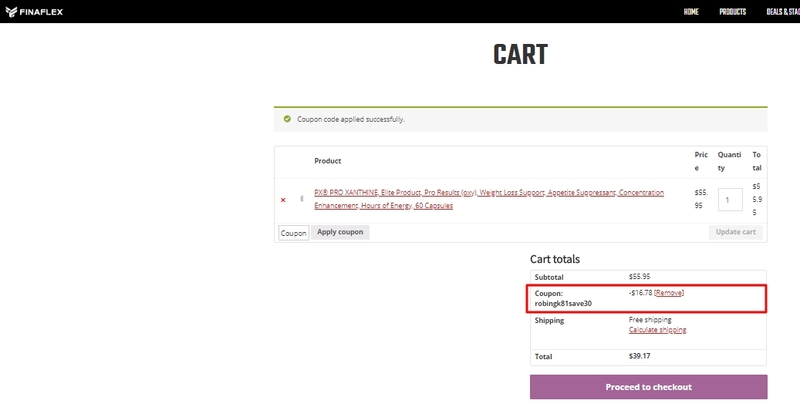 Select items and enter the code at checkout to get the discount.